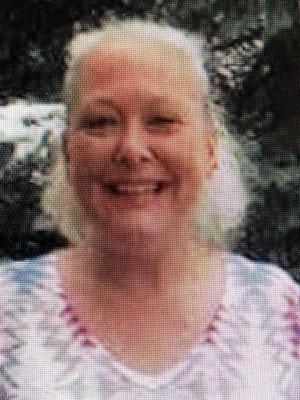 Tammy (Schild) Rudolph, of Prior Lake, passed away on January 14, 2019 at the age of 47. A Celebration of Life will be held on Thursday, January 24, 2019 at the American Legion Post 643 (12375 Princeton Ave) in Savage. A gathering of family & friends is from 3:30 – 5:00 PM with Remembrance Service at 5:00 PM. On October 22, 1971, Lester & Annella (Seurer) Schild celebrated the birth of their daughter, Tammy Marie Schild. Tammy was the oldest of four children and loved growing up in Prior Lake with her sisters, Nyree & Mya. Tammy and her sisters spent lots of time with their extended family. They loved playing with their cousins, and there was never a shortage of laughs. As a girl, Tammy enjoyed roller skating and shopping with her grandma. As she became a teenager, she spent more time hanging out with friends, swimming in the lake, staying out late, and always having a good time. Tammy became a mom at a young age. Tammy & Matthew Hammitt were blessed with a beautiful baby girl, Cassandra. Even with a baby at home, Tammy finished school and worked outside the home. The family continued to grow with the birth of Lester and again a few years later when Jaimee was born. Tammy was a good mom and loved her children deeply. Although Tammy left the area for a few years, she always managed to find her way back to Prior Lake. A couple years ago, she reconnected with an old friend, Karl “Rudy” Rudolph. Tammy & Rudy had a quick romance, and they were married on Valentine’s Day 2018. They loved spending time together and enjoyed meeting up with friends at The Legion, Extra Innings & The VFW. Tammy especially loved playing BINGO, and she always seemed to have Lady Luck on her side. Throughout her life, Tammy worked as a waitress and bartender. She was so good at her job. She could talk to anyone and made friends quickly. Rudy often told Tammy she should run for mayor because she knew everyone and they all loved her. Tammy truly was the life of the party. She was a smart, vibrant woman. Tammy could light up the room with her big personality and even bigger heart. Tammy will be deeply missed by all who loved her. Tammy is survived by her husband, Karl “Rudy” Rudolph; children, Cassandra Dienst, Lester Schild & Jaimee Traylor; grandkids, Jamison Dienst & Lucian Dienst; sisters: Nyree (Michael Davis) Schild & Mya McGriff; nieces & nephews, aunts & uncles, cousins, other loving relatives and many wonderful friends, coworkers & customers at the Legion. Tammy, you were a wonderful and kind person on earth and now have earned your angel wings in heaven. Rest In Peace my friend! Going to miss that smile at the legion – RIP sweet lady!!! I’m so sorry to hear about Tammy. She was always a bright spot at the Legion. She will be missed very much! Our Sunday breakfast will never be the same.. tammy was always a joy to us n seemed to know our order before we did. We will miss her always. Never forgot a name or face. Welcome Home where you are embraced! Tammy, I will forever miss the hugs you gave me every time I saw you , rest in peace my friend . All my Love Lady! Rest in Eternal Peace! You will be present in our Lives and Hearts for all our lives. So sorry we could not get to you, and hold you when you needed us….. I love you Mommy❤ You always knew how to brighten a room with your smile!! The day I graduated from Nursing School, we went to the bar to celebrate and I was lucky enough to get Tammy as my bartender! She was proud of me from my accomplishments and just as excited for my future as I was even though it was the first time we met. From that point on, we had a friend and looked forward to seeing her at the Legion. It was like I had known her my entire life and she was so easy to socialize with. We enjoyed her company as much as her service and always made sure she was tipped well! I am sad to hear of her passing. Her friendly nature and smile will be deeply missed by those of us who were lucky enough to have known her. God speed Tammy! I will have a grape tootsie roll shot in your honor! To Tammy’s children, husband and those who knew her best, may your memories bring you comfort during this difficult time. Karl and family — Our thoughts and prayers are with you and your family during this time of sorrow. So very sorry for your lose. Rest In Peace Dear Sweet Friend. My heart is broken as I heard this sad news. Another Angel gained her wings. Love and condolences to Rudy, and all of Tammy’s family. Rest In Peace wonderful lady who will be incredibly missed. Tammy, we always knew when you were in the room! You’re vibrant laugh could light up a room. We have already missed your Loud ‘Bingo’ yells and all your good luck! Miss ya already!! We will try to watch over Rudy here for ya. Wear those wings proud girl!! Love ya!! I am so sorry to hear of this. Tammy was so sweet, when we would go for breakfast, she would give me a hug or a huge smile. She will truly be missed. Sympathies to her family. Beautiful woman who always had a smile for everyone. You will be so missed. May God hold your family tight in his arms during this very difficult time. Our sincere sympathy to Tammy’s family. She will be greatly missed by all of those who’s lives she touched. Remembering you all in thought and prayer. How blessed we were to share the world with your amazing spirit. Tammy, know that you touched everyone you met, and we are the better for it. Rudy, there are no words, my heart breaks for her family and you. I’ve Only had 1 Sister in my life … and I had you for such a brief moment. Thank you for making my Brother Happy !!! I Love You & I Will Miss You. Karen.